Only follow this if you’re an advanced user and even then proceed with caution. 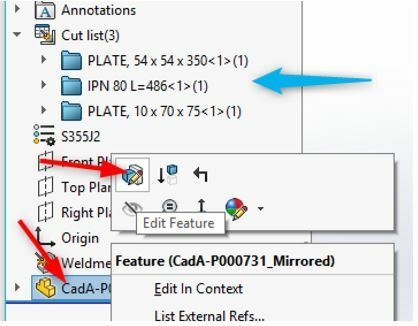 This is part three of the three part series of posts on mirroring in SOLIDWORKS with the use of the PDM system. 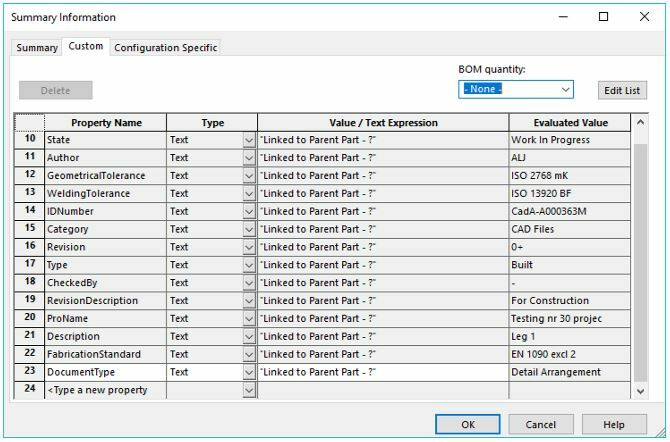 As of now this feature is still filled with bugs such as the “fromparent” issue in PDM that might be fixed for parts in 2018. 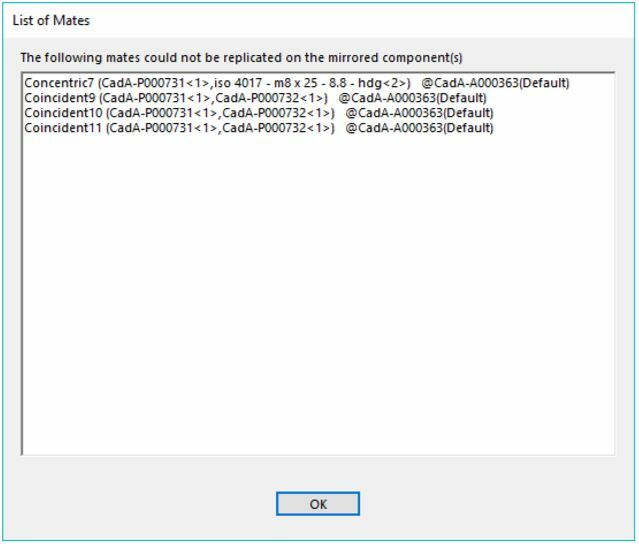 As of SOLIDWORKS 2017 SP5 it’s still an issue. 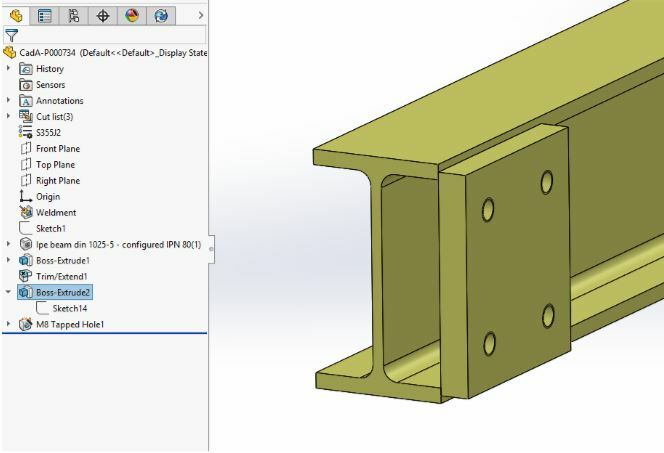 We will come back to this once we have tested this in SOLIDWORKS 2018 ourselves. When practicable, use the approaches shown in the previous chapters to combine for the mirroring you need. Assembly mirroring as of date may be step one towards unfathomable issues. Let’s take a look at an example where the entire sub-assembly is mirrored by only using the opposite hand for the yellow part. This is probably the worst combination you could come up with. 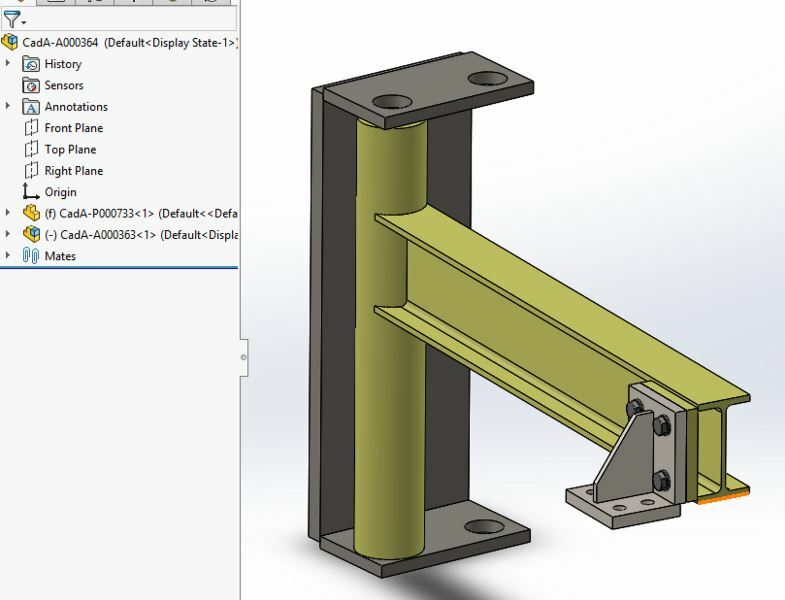 The first thing to do would be to create an opposite hand mirror and then DESELECT all the items that are not required such as the bushings and the bracket as we only need a mirrored copy of the leg. It’s essential to do this correctly the first time! Otherwise there would be a need to clean the library from excessive bushings in this case. Luckily, toolbox items are deselected automatically! 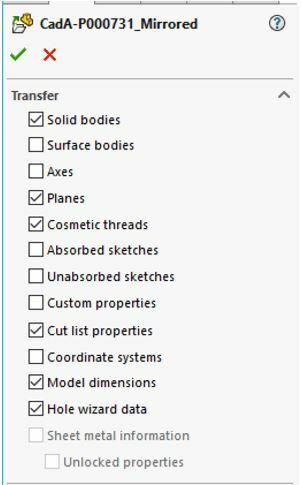 Also, SOLIDWORKS, it would be really helpful to have a god mode to make new, truly smart toolbox components. The same principles shall be used as when mirroring parts to the configuration. 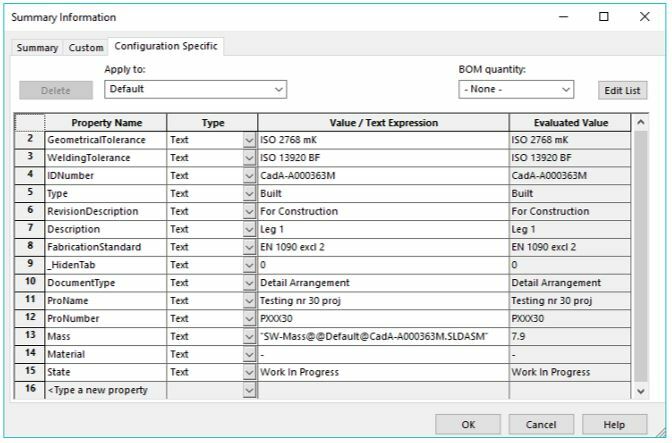 See “When using configuration strategy” in the middle of part one here. In short, file properties must be updated for configurations with the suffix “m” added to IDNumber. And then it becomes possible to make drawing files for mirrors with the suffix “m” as well. NB! This must be known during the the copy tree and all manual changes for the mirrored parts must be made after the new serials have been assigned! 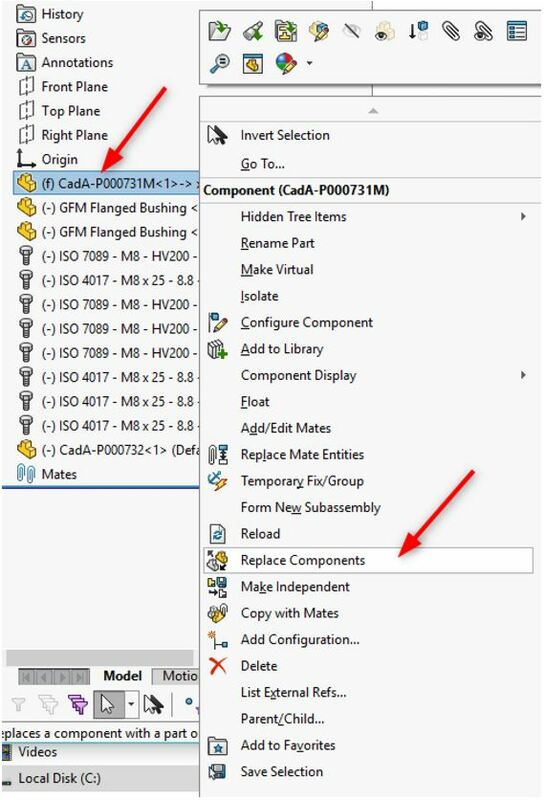 Because PDM is not able to correctly assign a serial number when a mirror part is saved as a separate part, it’s advised to use the suffix “m”. You can later rename it, but then the references must be manually fixed and this is a huge pain in the #¤%. Workaround: Make a mirror from the part manually, as shown above. Then copy (save as copy) the leg assembly and replace the leg weldment part. This is probably more stable than using a mirror! Later it is possible to make drawings for the assembly and parts. Just copy the drawing files and change the references to the mirrored parts. NB! Keep in mind that when creating a mirror with the suffix, manual editing of the file names is required should someone copy the main assembly with the “copy tree” command! From here on, there are different options. The most frustrating thing about this is that there is no option to deselect custom properties in the assembly, that is only available for parts. Supposedly, it has been fixed in 2018, but we have not yet confirmed it ourselves. Most likely there will be a notification about mates that were impossible to create. Quite often even details might end up in the wrong location. Make check-in, keep checked out. And just to show how badly this works, the BOM created looks like this (top level only)! “Fromparent” is everywhere and this is a huge pain to get rid of. Firstly, fix maters or the parts into place. 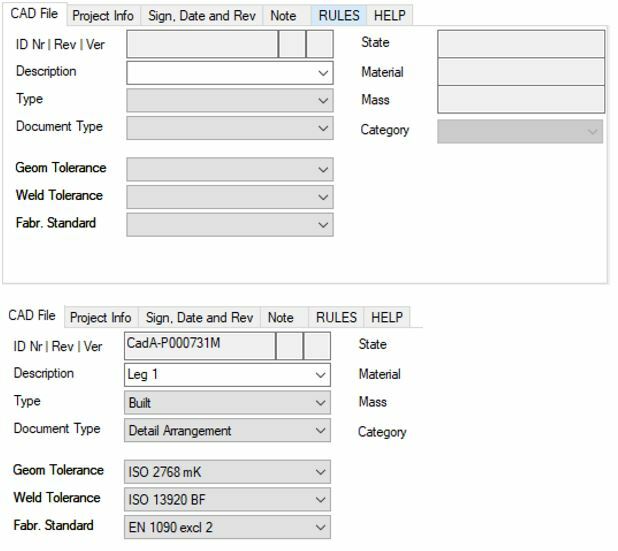 Secondly, fill the data card as much as possible and then use file properties to fill fields that are locked in the data card. Be aware that it’s possible to fix file properties in the configuration tab only. It is impossible to fix this on @ file properties tab. It’s a good idea to have the Custom Properties text file mirroring your variables, that enables a drop-down list of the correct property names. 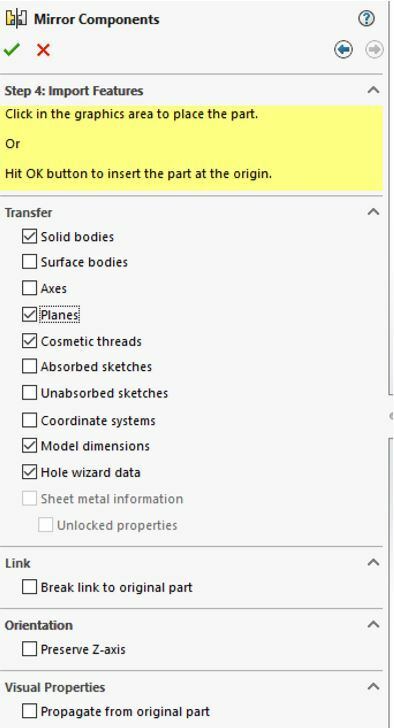 For reasons unknown the part file data card is empty even after check-in process. Therefore, these need to be filled manually. Yes, all of them. NB! 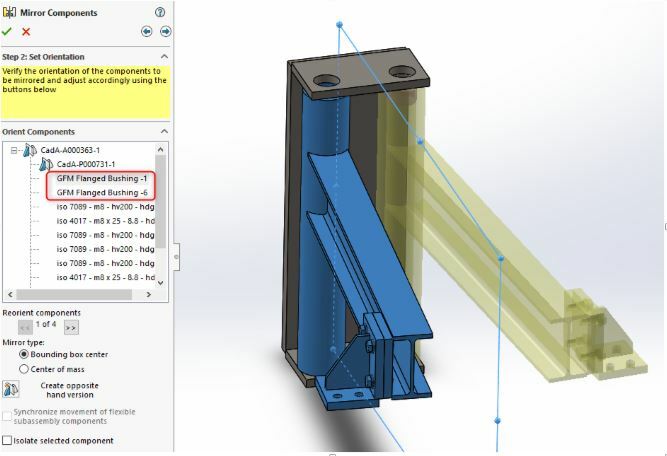 When editing the base part, edit mirror feature must be done both in the assembly and in the part. Of course the metadata will need to be fixed as well. Mirrors are quite practical in the design phase to get work done fast. But as everyone can see there are a lot of issues and therefore, dissolving them could be the solution. Also, it’s possible to dissolve patterns as well. 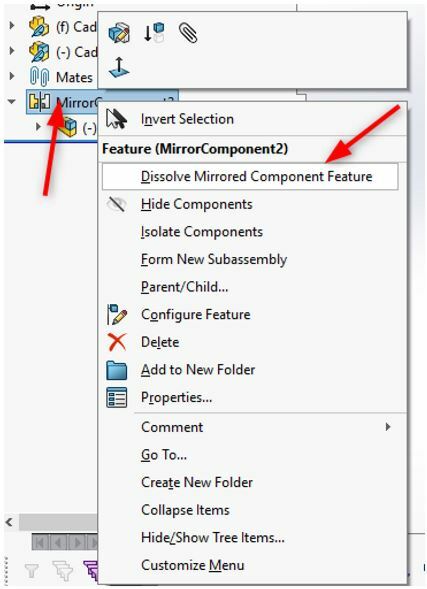 Firstly, choose Dissolve Mirrored Component Feature. Then it’s wise to break al the references! Then just save it as a copy and open to to save the sub-assembly with a new sequence number. As for the weldment part, it’s wise to make a new copy from the original base part with a “save as” copy and a new sequence number as well. Then edit the part enough to be a “mirror” and then replace it within the dissolved assembly. In the current case, edit sketch plane and feature direction are enough. A rough, but working way of doing this would also be to use the mirror in the part and then delete the bodies feature. Then just use Replace Component where needed. Now save everything, make the check-in and delete any old files with the suffix “m”. Don’t try this at work.